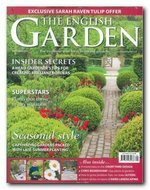 BBC Gardeners' World Magazine ist eine britische Zeitschrift und erscheint 12 mal im Jahr. Der Preis für ein Jahresabonnement beinhaltet die Zustellung nach Deutschland, Österreich und in die Schweiz. 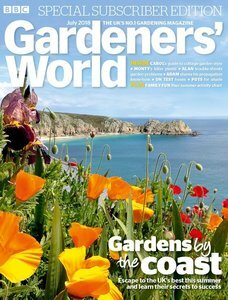 Each month, Gardeners' World, the UK's biggest selling gardening Magazine provides you with key practical advice and tips, just when you need it! As well as fresh ideas and inspiration, you'll find heaps of practical advice in every issue and tips on exactly what needs doing each month, just when you need it. You'll also find solutions to all your gardening problems with the help of our experts as well as ideas from all your TV favourites, including Alan Titchmarsh, Toby Buckland, Monty Don, Carol Klein and Joe Swift. From vegetable growing to wildlife, new plants to shopping, there is something for everyone in Gardeners' World Magazine. Take out a subscription online today!